When? 7.30pm, Wednesday 12 March. Where? The Exhibit, 12 Balham Station Road, London SW12 9SG. Organised by Wandsworth Amnesty International. 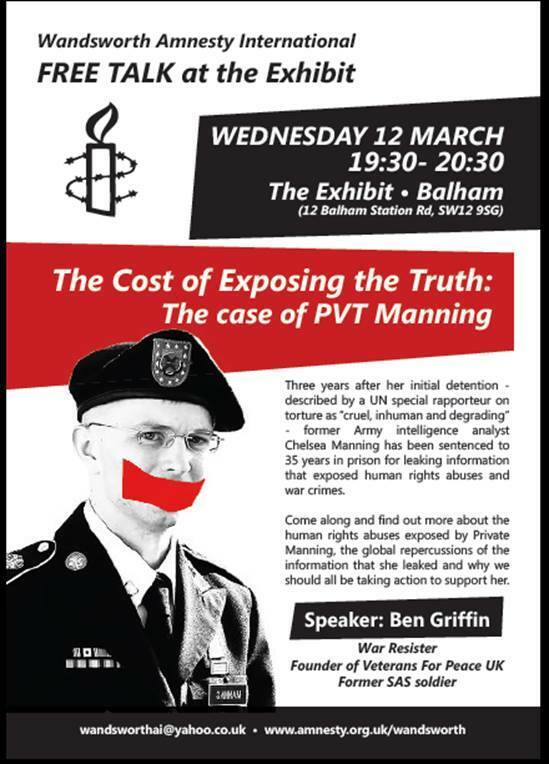 Gallery | This entry was posted in Announcements, Manning and tagged Amnesty International, anti-militarism, Bradley Manning, Chelsea Manning, London, Veterans for Peace, Wandsworth. Bookmark the permalink.